In recent times, Wi-Fi is usually the standard way to connect to the internet and several other networks (VPNs, Intranet etc.). To access internet on your PC, it is vital that your computer has Wi-Fi capability. An Ethernet cable is generally a decent way to establish a connection to a local network. However, in cases when you need internet connectivity on the go or wish to play high-intensity gaming, it is not a practical idea to have wires running throughout your home. In such cases, a wireless network card, however insignificant in cost, will enable flawless connection to your network, wirelessly. This connection will be established anywhere within range of the wireless router is installed. To make sure the Bluetooth and wireless connectivity are robust, the PCI-E Wireless cards are used on desktop PCs. They are often referred to as PCIe WiFi Expansion card. They can be easily installed in your computer case through a spare PCI expansion slot. Moreover, they facilitate powerful connection to a nearby wireless network. During the situation when your PC does not have wireless capability, and you still wish to access the internet, then these WiFi expansion cards work well. These cards are dedicated to enhancing the strength of the Bluetooth and WiFi to your computer. There would be no hassles to install them and once installed; they will serve your PC with the necessary connectivity options. Some desktop PCs and mini-ITX motherboards come with a built-in Bluetooth and WiFi function, while others don’t. Sometimes, your WiFi and Bluetooth connectivity is not that fabulous or is stuck at 2.4 GHz. Maybe, your new 5 GHz Dual Band Router needs to be utilized to its fullest potential. So the easiest solution is to install a PCIe Bluetooth and WiFi card. Since a good WiFi & Bluetooth combo is rare, we will help you choose the best PCIe WiFi Expansion Card available on the market. There are two ways to add external Bluetooth and WiFi functionality to your desktop computer, namely USB or PCIe. But the easiest and the cheapest option is to get the Bluetooth 4.0/WiFi PCIe Expansion card. Installing an internal Bluetooth/WiFi card is somewhat not as easy as that of an external dongle. But it is not even that complicated either; even newbies can do this stuff with proper guidance. To install the PCIe card, you would need to know how to open your desktop computer. The instructions will come from your desktop vendor since each chassis is different. The second prerequisite is to have an empty, available PCIe slot for installing the WiFi card. Once you have figured that out, you should be able to insert the PCI-e(Express) and install the Bluetooth/WiFi card. Once the installation is complete, the PCI-e wireless adapter is going to give you the necessary connectivity that you are planning to achieve. Usually, these expansion cards pack two antennas; where one is going to boost your WiFi signal reception, while the other one is used for Bluetooth signal increasing. Some cards might have more than two antennas to add the reception strength even further. Also, do look for MU-MIMO based expansion cards, since they are fast and can open multiple channels for faster downloads. The MU-MIMO cards are affordable these days, and the spatial multiplexing gain over WiFi makes it a compelling buying option. The market is full of WiFi PCI-e adapter and Bluetooth PCI-e adapters. But when it comes to Bluetooth and a WiFi PCI-e adapter combo, there are not many good options in the market. So in this article, we are going to list out with the best ones in the market. Also, the 5 GHz band allows users to get 2x -3x more bandwidth over its predecessor, the 802.11 N standard. Since all the devices on the market are moving towards this new standard, we have specifically listed them here on our list. Moving on to the high-end best WiFi + Bluetooth PCI-e cards we have the Fenvi 8265. It provides faster speed and better coverage than the above Wireless adapter. It supports dual-band 2.4 GHz and 5 GHz operation. It works on the 2×2 MU-MIMO technology. 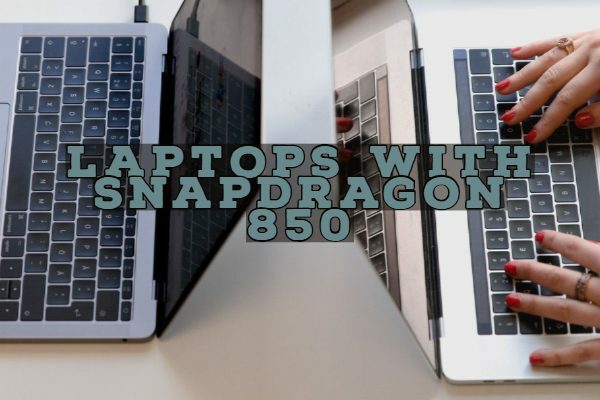 It delivers up to 3 times faster WiFi speeds (up to 867 Mbps) than 802.11n. Plus, it offers three times more bandwidth per stream for more users and devices. It has dual mode Bluetooth 4.2 BLE. It has dual antennas that stick outside the pc cabinet for even better signal reception. 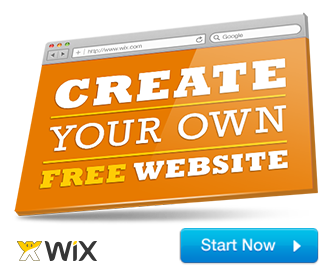 It is compatible with Windows 7, 8 and 10 Mac and Linux OS. ASUS PCE-AC55BT B1 adapter offers high-speed wireless internet connectivity. It comes with Wireless-AC dual-band for low latency streaming and high performance online gaming. WIth Bluetooth 4.2 and BLE connectivity, you can connect your mice, keyboards, headsets and more with your desktop PC wirelessly. It comes with an external antenna base for optimum signal reception. The flexible dual-band connection delivers speed up to 867 Mbps on the 5GHz band. Plus the dual mode Bluetooth to connect to the latest BLE product and works with Windows 7, 8, 10 and Linux OS. Inside the package, you will get AC adapter, Gigabit network cable, warranty card, and Wireless LAN adapter. Gigabyte GC-WB867D-I REV is a dual-band WiFi adapter that follows IEEE 802.11ac standards. Plus, complete Bluetooth 4.2 to connect almost all latest Bluetooth devices. It provides high-speed wireless connection up to 867 Mbps. The external antenna dramatically increases the signal reception capabilities. WiFi dual-band operation allows users to switch between the 2.4 GHz and 5 GHz band as per the load requirement. This PCI-e WiFi + Bluetooth adapter support Intel Wireless Display to let you enjoy wireless life at home and work. Gigabyte GC-WB867D is the most reliable WiFi + Bluetooth PCI-e card for PC. Equipped with the high-speed connectivity, you can relish flawless internet connection in your PC. With low latency occurring at 5 ms, you can view UHD video and enjoy multiplayer online games in a hassle-free manner. It is found that this wireless network card from Ubit comes with the dual-band technology and features a 3-antenna design. It supports dual-band 2.4GHz and 5GHz channels to let user flawlessly enjoy HD video streaming, file sharing, and online gaming. In addition to that, there will be a noticeable improvement in wireless coverage due to the two antenna arrays. These antenna arrays also facilitate dominant Wi-Fi performance and stable Wi-Fi connectivity. Within no time, your PC gets connected to 2.4 GHz or 5 GHz wireless network. 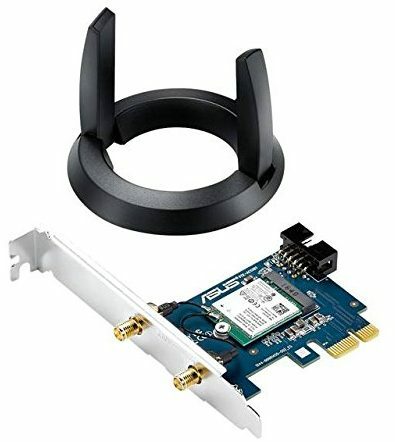 With the use of this WiFi card, you can add high-speed 867mbps WiFi connectivity to a desktop computer via a PCI express (PCI-E 1x) slot. Implementation of the Bluetooth 4.2 technology enables excellent data transmission speed between devices. 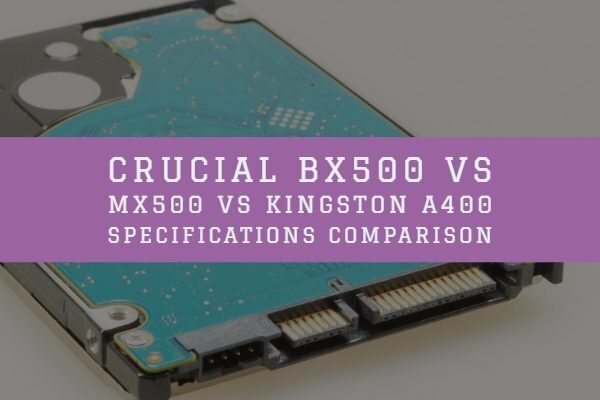 It is found that this speed is approximately 2.5 times higher than that of Bluetooth 4.0. The included Bluetooth technology offers higher security and quick transfer rate. In this wireless network card, there is a built-in Intel chipset. This chipset is dedicated to enhancing the wireless network reliability and performance. For its operation, there is no need of drivers needed. Moreover, it comes with the quick set-up and hassle-free installation using bundled CD utility. The card motherboard comes with the short circuit prevention design. This design makes sure the computer motherboard or PCI-E adapter would not be burnt. The package comes with all the necessary accessories like the two 5dBi antenna, a Bluetooth signal cable, 2U Half Height Baffle, a driver CD, and mounting screws. 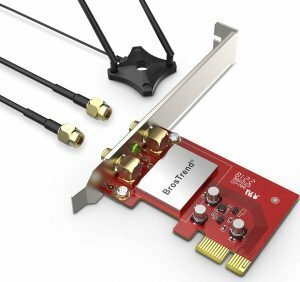 The BrosTrend 1200Mbps wireless network card takes the comprehensive benefit of the advanced 802.11 AC WiFi and PCI Express network interface technology. In addition to these technologies, the card comes with the two external 5dBi WiFi antennas along with a magnetic antenna base equipped with an extension cable of length 3.3 feet. All these components and the advanced technology make sure you effortlessly establish a lag-free and powerful wireless connection. You will find the boost in the WiFi range and improvement in the Bluetooth connectivity as well. For daily use and gaming purpose, this PCI Express wireless card is the perfect one. With the use of this WiFi card adapter, you will attain 867mbps wireless speed on the 5 GHz Wi-Fi band. Moreover, you would get 300mbps on the 2.4 GHz band. 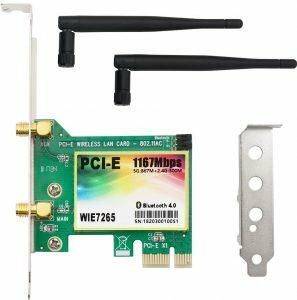 It is quite simple to get this powerful wireless connectivity by just plugging this PCIe WiFi card to any available PCI-E slot present on the motherboard of the PC. 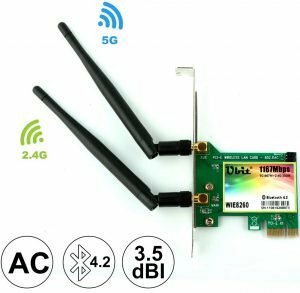 Due to its PCI Express interface, it is found that this wireless network card guarantees a more stable WiFi connection than the USB WiFi adapters. Hence, this wireless card is recommended for lag-free video streaming, online gaming, and web surfing, etc. Extended WiFi connection is facilitated by positioning its antennas in a spot with the optimum wireless signal reception. It comes with the flexible installation because the magnetic antenna base is capable of supporting installation horizontally or vertically on a surface. This kind of flexible installation allows you to perceive the optimal wireless connection. Now you can enjoy wireless connectivity on a wired PC with the help of this PCIe wireless adapter from QNINE. 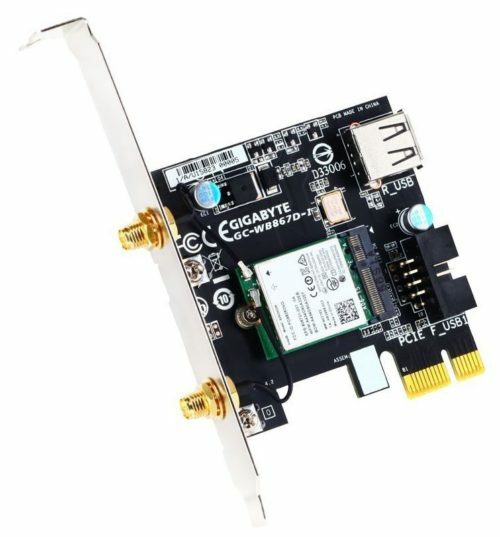 What makes this wireless network card unique is its support for a wide range of Windows System. The hassles to rely only on the wired connection for accessing the internet will be now removed. Also, there are no troubles with the installation and set up the process. All you need to do is follow the instructions and experience strong wireless connectively subsequently. This QNINE wireless network card comes with the 1200Mbps super fast wireless transmission rate. This rate is suitable for quick downloads, lag-free video streaming, and internet gaming. With the help of the Bluetooth 4.2 function, it is quite easy to connect many other Bluetooth devices. Along with the Bluetooth connectivity, this wireless network card supports use with WIFI simultaneously. 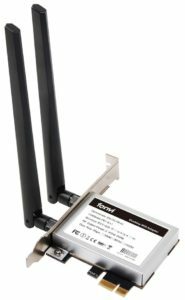 The dual-band4GHz/5GHz prevents the issues of wireless interference and network congestion. In this way, you are benefitted with stable WiFi connectivity. It can support Windows XP, Win7, Win8, Win8.1, and Win10. To perceive great internet connectivity and Bluetooth connectivity in your PC without any instability concerns, the discussed PCIe WiFi expansion cards work effectively. They provide a substantial improvement in the WiFi speed and Bluetooth connectivity to suit a wide range of applications. 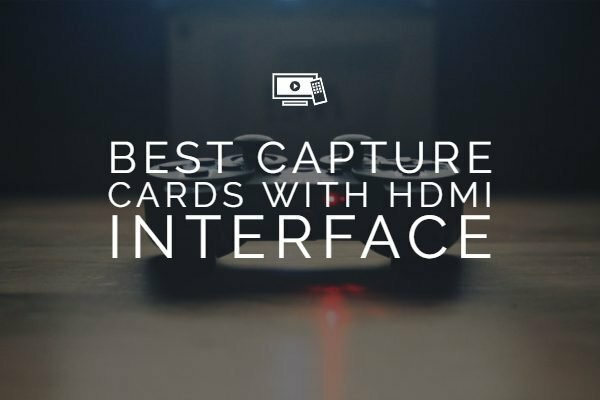 We hope you like our list of the best PCIe WiFi Expansion Card available on the market. For feedback or suggestions, do drop us a comment below in the comment section. Cheers! Previous PostWhat is X16 Gigabit LTE CAT 16 Modem & Which SOC's Supports Them?